We’ve scheduled a Don’t Eat Lunch Alone at Universal Quality Machine in Holyoke on Febuary 5, 2014 at 12:00PM. We are very interested in manufacturing right now as we are the proud owners of a Precision Manufacturing Machine Shop. Come see us and bring your friends, especially if they’re in the manufacturing industry. I attended a meeting of the Advanced Manufacturing Regional Partnership Academy in Amherst the other day. A lot of smart, motivated, talented people want to help manufacturing succeed in Massachusetts. Let’s get together and talk about it! 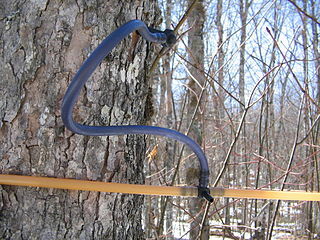 I have to say that as picturesque as traditional maple sugaring is, seeing the clever, modern, gravity-driven systems based on lightweight materials just warms the cockles of my efficiency-expert heart. Somebody went even further back to basics in Vermont, and has figured out how to do even more with less. Read about Maple Syrup as a Row Crop. I foresee the rise of an market for traditionally-produced “artisanal” maple syrup.